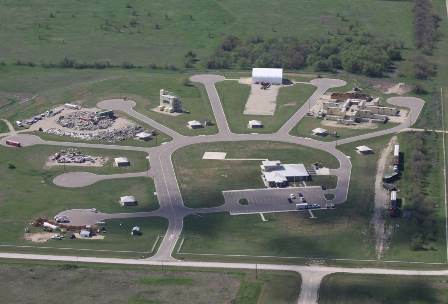 Crisis City, located eight miles southwest of Salina, Kan., was developed to fill the need to enhance the state’s capability to defend against terrorism threats and respond to disasters and emergencies. Since then the mission of Crisis City has expanded to "Provide Kansas first responders and those who do the dirty work, including the Kansas National Guard and our public and private partners, with a world class, multi-discipline, multi-agency training environment that has no rival." A ribbon-cutting ceremony was held Oct. 1, 2009, to officially open the facility. Crisis City provides training facilities to all emergency response and support agencies, whether in one of its classrooms or on any of the training venues. 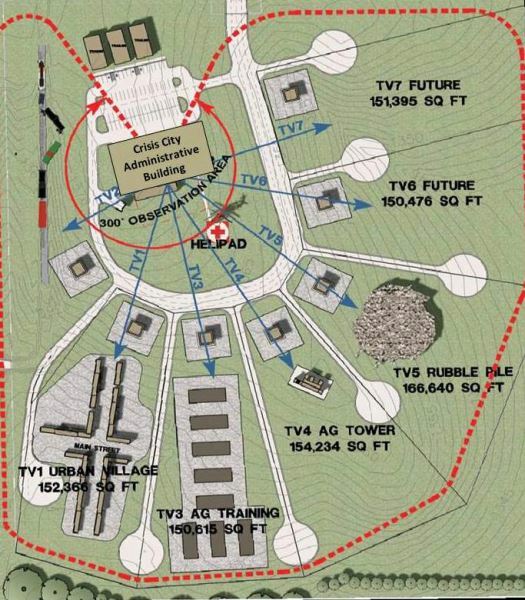 Crisis City is a multi-use, fully functional training complex for local, state, and federal responders, Emergency Management professionals, public and private industry safety professionals, and military operations in support of civil authorities. Crisis City is operated by the Kansas Division of Emergency Management. To inquire about scheduling any Kansas First Responder training event at Crisis City, contact Tammy Shea at (785) 826-3771. You may check the availability of training dates on the Training Calendar. Click the links below, save the forms, fill them out and email to Tammy Shea; or you can fax them to (785) 826-3771.